We design intelligent survival gear for the preparedness community. We are a family owned business based in central Washington state. Take a moment and check out some of our cool stuff. The Titanium Insulated Mug that goes anywhere and survives anything. A 300ml (10oz) mug that fits easily in your bag and keeps your coffee warm. The Kaba emergency mylar blanket is the result of over a year of manufacturing efforts to make the common emergency blanket better. The survives anything, weighs nothing, titanium spork. 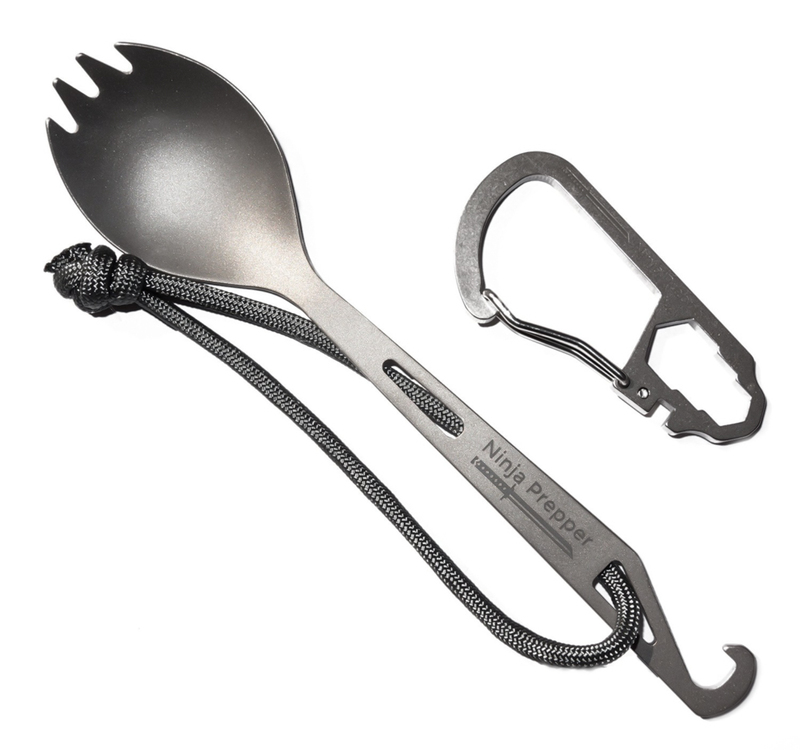 One tool to let you devour anything, including a beer with the integrated bottle opener. We are an entirely family owned small business in rural Washington state. We are active members of the preparedness community. We manage all customer support and stand behind our products forever.